Have you been to Japan or want to travel to Japan for a holiday? 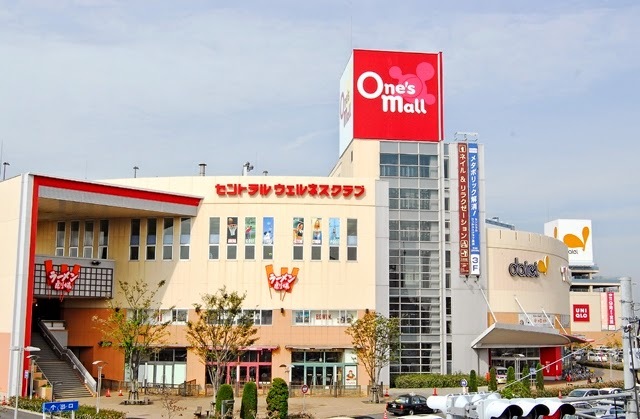 Do you know you can own a part of the many shopping centres in Japan? 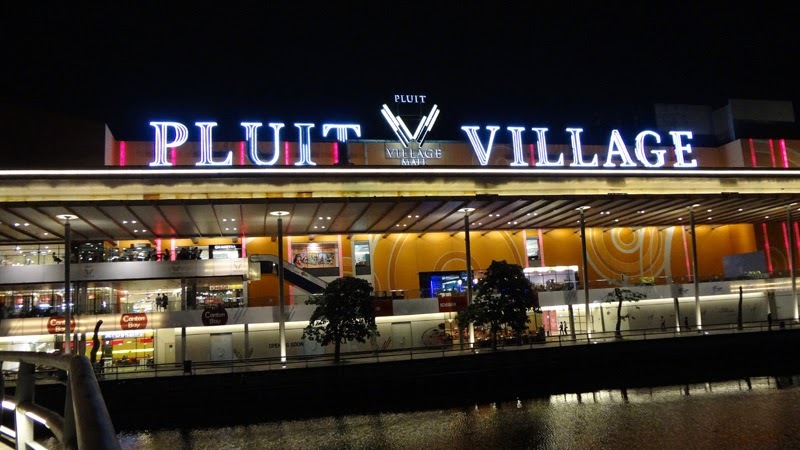 Yes, you can own shopping centres through a business trust called Croesus Retail Trust (CRT) which is listed on the Singapore exchange since May 2013. I was at the retail investors day of Croesus Retail Trust (CRT) last Thursday and had the opportunity to listen to what the management team had to say with regards to the situation of the company and its plans for the future. It was quite a fruitful session as I learnt more about the Japanese retail real estate market and the company itself. I've been a shareholder of this trust since November 2013. Initially, CRT owns only 4 shopping centres in Japan, Now, they have 7 properties in their portfolio. 75% of their properties are in Tokyo and greater Tokyo. From last Thursday's session, I heard from the management team that the aim of CRT is in providing a resilient and robust income stream for its investors. It has suburban assets which are defensive in nature. Some of these shopping malls' main tenants are supermarkets and they are very family oriented. This results in the income stream being quite stable naturally. In recent months, CRT has been purchasing properties in Tokyo itself. The main reason for the purchases in Tokyo is to ride the asset appreciation wave in Japan. Property prices have been and are still going up in Japan as seen from the fall of the rental cap prices. The rental cap prices are what we know as rental yield in Singapore. As property prices goes up, the percentage of rental yield falls even as it remains constant in real value terms. What are the returns like for investors? CRT has been providing quite a good yield for investors since its IPO in 2013. It has consistently provided investors a yield of 8.4% and 8.7% for FY 2013 and FY 2014 respectively at a closing price of 95 cents. This is on the high side as compared to the other retail Reits in Singapore as well as Japan. Other Japanese retail companies such as JRF has a yield of 3.6%, Activia 3.2%, Frontier 3.3% and Aeon 3.2%. As you can see, other Japanese retail companies on average only provides a yield of around 3%. One question we may ask is: "Why is there such a big gap between the yield of CRT and the others? Will the gap close?" The answer given by CRT is yes the gap will close. They hope to grow the company by doing more acquisitions so CRT becomes an indexable stock which will hopefully drive the stock price up. When the stock price goes up and distribution per unit (DPU) or dividends maintains or grows modestly, the gap will close. They have reassured investors that they will be responsible in delivering the DPU. They have promised on a 100% distribution for the first 2 years and at least 90% thereafter. They have also limited their gearing ratio to a maximum of 60% and swap all their floating rates to fixed rates to provide a more stable income stream. The gearing ratio is the amount of debt as compared to the equity of the company. The gearing ratio of CRT is around 50% now. Some of us may feel that it is too high. The management of CRT explained that the reason for the high gearing is because cost of borrowing in Japan is cheap now. Their borrowing cost is on average around 1.3% and are all on fixed rate. They reiterate that it is a good time to catch the property price appreciation wave in Japan now. Also, as one of CRT's strategy is to ride the asset appreciation wave, an increase in the property price will result in a decrease of the gearing ratio. What is going to drive the DPU? If we're investing for income, then we have to ask ourselves how CRT is going to maintain and drive its DPU? CRT has given a DPU of 7.86 cents in FY 2014 and is projected to give a DPU of 8.5% in FY 2015. How are they going to drive DPU? Firstly, CRT has acquired 3 other shopping centres since 2013. This will provide more income stream for FY 2014 and 2015. 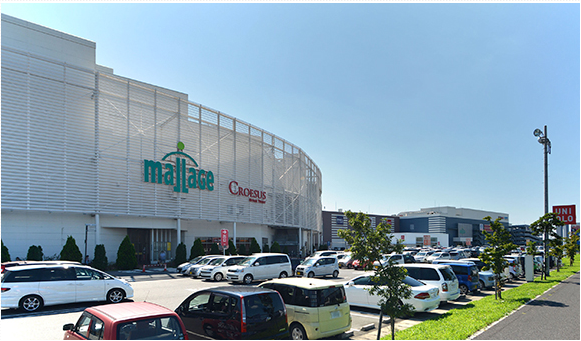 Secondly, Mallage Shobu is one of the shopping centres in the portfolio of CRT. It contributes to 34% of the net property income (NPI) of CRT. The size of Mallage Shobu is approximately 2/3 of Vivo City in Singapore. CRT has embarked on a significant movement in tenant composition with tenant renewal exercise for 155 out of 242 leases during FY2015 at Mallage Shobu. They have introduced 69 new brands, 28 refreshed store transfers, 58 renewed leases and also recent additions of new tenants such Muji, KOE (fashion apparel brand) and Jelly Beans (women’s shoe retailer); Toys R Us expected to commence in June 2015. Improvements to Mallage Shobu will result in downtime in 2015. This will negatively affect DPU but the management has said that to minimize impact, they have spread the improvement works across different quarters. In 2016, we should see a 20-25% positive rental uplift which will result in a 4% rise in DPU. Since DPU is in Japanese Yen, it is subjected to fluctuations of the currency. The Japanese Yen has depreciated against the Sing dollar and this will affect DPU. But, CRT has hedged against it to stabilise the DPU. However, once the currency hedge ends in June 2016, will DPU be affected? The management has said that they will hedge again when there's a good rate but their main strategy is still to focus on growing organically which is to acquire more assets to improve DPU. In my opinion, there's still a lot of room to grow for CRT. The management seems to know what they are doing and gave a clear picture of their plans for the current and future growth of the company. During the seminar, someone asked if there would be a possible rights issue in which the management said they would consider it and it would be possible. Also, they mentioned that 20% of the investors have chosen to reinvest their dividends which shows shareholders' trust in the company's future. If there are any rights issue or opportunity to invest more at lower prices, I would continue to invest in this company for a resilient and robust income stream which CRT provides. How Delayed Gratification Can Determine Success or Failure? See how the kids really struggle very hard to resist the temptation of eating that one marshmallow just to get another one if they wait patiently. Some parts of the video were really funny looking at the kids faces of how they wait patiently. In follow-up studies, the researchers found that children who were able to wait longer for the preferred rewards tended to have better life outcomes, as measured by SAT scores, educational attainment, body mass index (BMI) and other life measures. Those kids who were able to wait patiently were more likely to succeed in life. There is certainly a positive correlation between delayed gratification and success. Delayed Gratification for Financial Success? Now comes the point which I want to bring across. Having delayed gratification will result in financial success as well. Think about it, if we really can delay gratification and resist the temptation to spend money, we would have more savings. We would not unnecessary get into debt problems as well. Also, having delayed gratification may mean we have the patience for investing and not the greed of wanting to get rich quick. We're less likely to burn our fingers in the stock market and less likely to fall into investment scams. It seems like there are so many benefits of delayed gratification. Does it mean that people who are not able to delay gratification are set for failure? Looking at all the benefits of delayed gratification, we may wonder what if we are not able to delay it? Are we set for failure? While there are positive correlations between better life outcomes and delayed gratification, this does not mean those who cannot wait will be forever labelled as a failure. Delayed gratification can be taught and the process can be changed completely. How do we do it? In a further experiment, the kids who were not able to wait for the second marshmallow were told to imagine that the marshmallow on the plate has a frame surrounding it. They were told that this is just a picture frame and it is not real. After this imagination process, researchers found that those kids were then able to wait patiently for the second marshmallow which they were not able to do so at first. But you may ask, how do we apply it into our financial life? From the above example of imagining that the marshmallow is fake, we could similarly imagine that our money is fake or is not there. 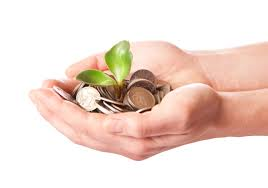 We must also remember that if we do not spend our money now, we will get more money later when we invest. One practical way I can think of is to transfer our money to a separate bank account and invest it prudently. We are doing a real life marshmallow test for ourselves now. Try the real life marshmallow test on yourself and see what happens. As a beginner in investing, it can be hard to understand complex financial statements. But in fact, there are only a handful of key points you should take note of. Here are 4 simple steps for you to have a good picture of a company’s health. 1. Valuation. Is the stock too expensive? Just like when you do your shopping, you want to find the cheapest store to buy from. The same principle applies for investing. You wouldn’t want to buy a company that is too expensive. 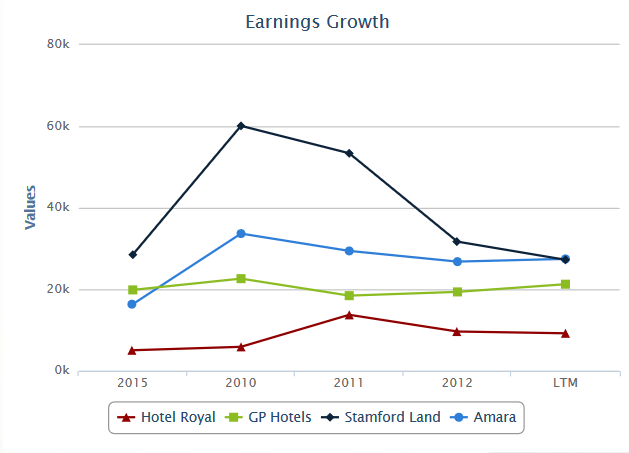 Here is the chart of Amara, a hotel operator of the luxurious Amara Sanctuary Resort in Sentosa. 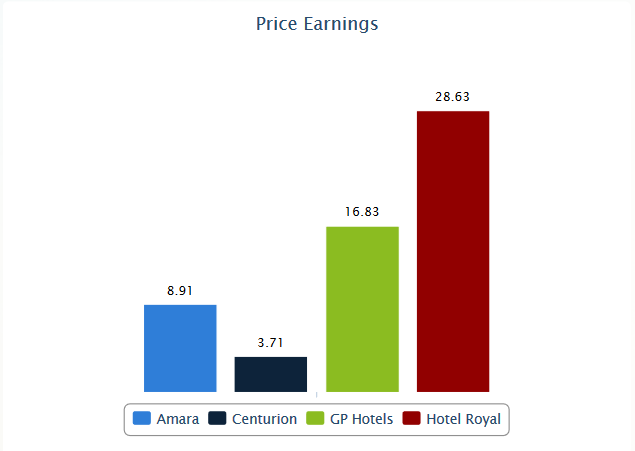 First, we look at the Price-earnings of Amara. It runs at 8.91, the lowest among the 3 competitors. That makes Amara the cheapest company to invest in as compared to its competitors. 2. Earnings growth. Is the company growing? We want to invest in companies that are growing. Amara’s growth has been stagnant for the past 5 years, hence it does not have an exciting growth story. However, that could pick up once Amara Signature Shanghai opens in China. 3. Returns for investors. How much can you make as an investor? There are two important things we look at. We want to know how much returns can the company generate for its shareholders, and of course, the more the merrier. For that, we look at Return on Equity, also known as ROE. 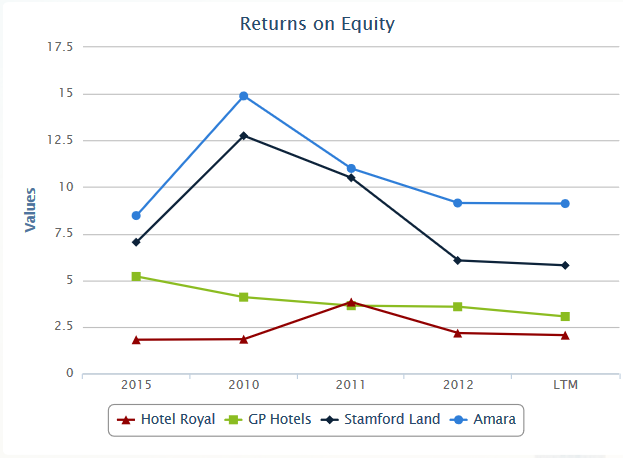 Amara definitely generates the best returns for its investors as compared to its peers. Over 8% returns for the past 5 years? That is a good business to be in. If they keep this up, the share price should increase year after year. The second factor to look out for is dividend yield. 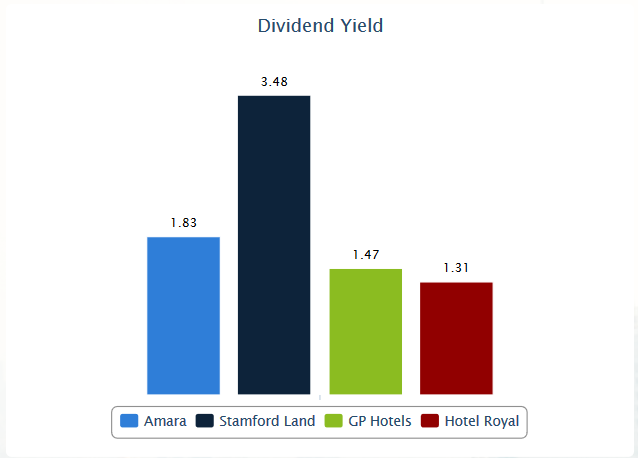 Amara gives only 1.87% dividend yield. If you are looking for passive income, then this stock is probably not for you. In fact, all 4 hotel companies give low dividends so investors should be looking for capital gains from rising share price. Insolvency risk. Will the company go bankrupt? No matter how fast the company is growing, you must always pay attention to the risk of a company not being able to pay its debt. History has proven that fast growing companies often borrow too much and when they fail, investors suffer. Therefore you should stay clear of companies that borrow excessively. 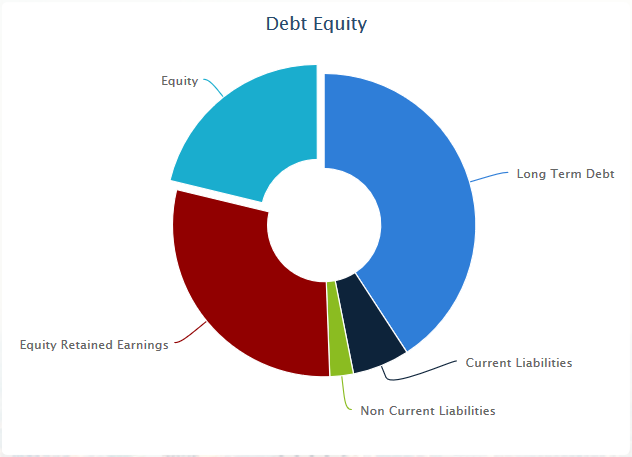 As seen from the pie chart above, Amara has almost 50% debt and 50% equity (slightly more equity). This is on the high side. A safer proportion will be 30% debt and 70% equity. Nonetheless, it is manageable for now but investors should be mindful if Amara’s debts keep rising. Access to all the information on Singapore listed companies are now available for you to help you invest better. Simply log on to www.stockflock.co for a full suite of resources you need. Your Marriage or Your Investment? This post was inspired by a chat with a friend recently. I was told that there were some young people who are investing the money which was meant for their marriage or wedding in the next few years time. With investment products easily available now, young people can just start their investments from as low as $100 per month. An example is the POSB invest saver which invests into the STI ETF. Yes, the STI ETF is a good investment tool but the problem with the investments some young people are doing is they plan to invest a sum of money every month and take it out for their wedding in the next 2 years or so. Is this a wise move? 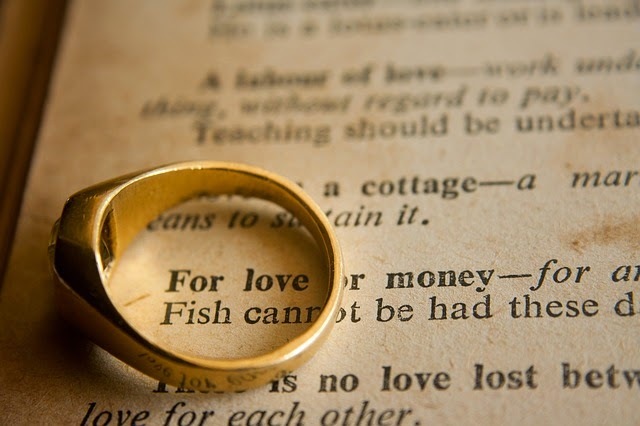 Is it wise to invest the money you need for your marriage? The answer to the above question is probably a NO. There are a few reasons why we should not invest the money we need for our marriage. I'll elaborate on the reasons below. I'll focus on the investments of non guaranteed assets such as stocks, index ETF and even bonds. We can never be sure if we will make a profit or loss in investments. Moreover, if our investment time frame is only 1-2 years, its even worse. When we invest the money we need for our marriage in the next few years, we may have to sell at a loss when the portfolio isn't doing well. Some of us may be thinking what if I make a profit? Then I can have more money for my wedding. We should immediately identify that this is a very dangerous thought to begin with. 1-2 years time frame for investment is definitely too short. 3-4 years is also short. We should probably look at more than 5-10 years time frame for any investments that we make. In fact, we should invest all the way to retirement. It is part of our retirement portfolio. I know young people want to start investing as early as possible once we know the magic of compounding. Yes, the earlier we start, the greater the compounding effect but always remember that financial planning is not just about investments. It is planning our finances as a whole. All of us want to achieve financial freedom and get out of the rat race. We want to grow our money through investments. But now, with marriage in mind, there seems to be a road block. How do we plan our finances such that we can get married and still achieve financial freedom? In the next few paragraphs, I would share with you my personal plans for the past few years which is still ongoing. But first, there are two likely scenarios for most of us. One likely scenario is we are single and no plans for marriage. The second likely scenario is we are attached and planning for marriage in the next few years. Let's see what we can do for the two different scenarios. Being single now means you certainly have more time to plan your finances. Since you don't need a large sum of savings for marriage as of now, you can invest some savings which you have and grow it for the long term. This is the time to work hard, increase your income and save up aggressively. Being single now doesn't mean you won't get married in the future. What happens when you get attached somewhere in the future? The key idea is this. Most of us will date and plan for marriage in about 3-4 years time when we get attached. Since your previous savings are already invested, you shouldn't rely on that for your marriage any more. From the time you get attached, start saving up a portion for your marriage and never ever invest that portion into any non guaranteed investments. It is good to put that money in some guaranteed higher interest accounts which will allow you to take it out by the time you need it for your wedding. I wrote an article on How much money is needed to get married and start a family in Singapore?. You can use it as a guide for your marriage cost or get some information from your friends or family members who have already been through that stage. You'll know roughly how much you need to save every year to get married in 3-4 years time. If you plan $60,000 for your marriage, just save $20,000 a year and you'll be on track to get married in 3 years time. If you already have a partner, planning for marriage is inevitable if you feel he or she is the right one for you. If you've yet to save up for a wedding, start now and plan it out with your partner. Know the amount you need and set the targeted time frame to save up that amount. Rushing into marriage without any planning is not advisable. You'll end up with a lot of financial problems later on. If you're really serious about this relationship, there is no point rushing into marriage without any planning. Of course, some unforeseen circumstances may happen and you may need to rush into it but I shall not go into that here. Some couples take the short-cut and think they don't need to plan ahead because there are zero interest credit instalment plans available for their wedding in Singapore. But, always remember that you need to pay back the amount you borrowed later on in your married life and don't forget you probably need to pay for other things too such as housing loans, your own bills and all that. It is always easier to save up before marriage when you don't have much commitments yet. Long time readers of my blog will probably know that I'm at the single and no plans for marriage stage now. This gives me a lot of space to plan my finances. My personal plan is to achieve a $100K investment capital base and start saving for marriage when I find a partner. I probably can save up for marriage in less than 3 years and still have $100K to invest by that time. Do note that the savings amount for marriage and the $100K are two separate accounts. After catering to my marriage needs, I still have money which I can invest and grow for the long term. Never put your marriage needs and investment into one account. It becomes confusing in the end. On the issue of financial freedom, passive income have to be created. I've written about passive income in quite a few of my previous articles. You can read all my articles on passive income from the link here. A fellow blogger, ASSI AK has also recently written a good post on How to get $50K in passive income by investing in stocks? If we can get $50K in passive income a year, we could quite possibly achieve financial freedom and choose not to work by then. Ultimately, all of us have different lifestyle and needs. Plan accordingly to your lifestyle and you'll know whether its achievable. If you want a $100K wedding vs a $50K wedding, the planning will be completely different. Your marriage or your investment? I hope you know the answer now. Fixed or Variable Rates for Home Loans? In recent months, there has been a lot of news on interest rates and indeed the rates are changing at a much faster pace than before. Interest rates on the international level are all changing. US interest rates are changing, Singapore's interest rates are changing too. 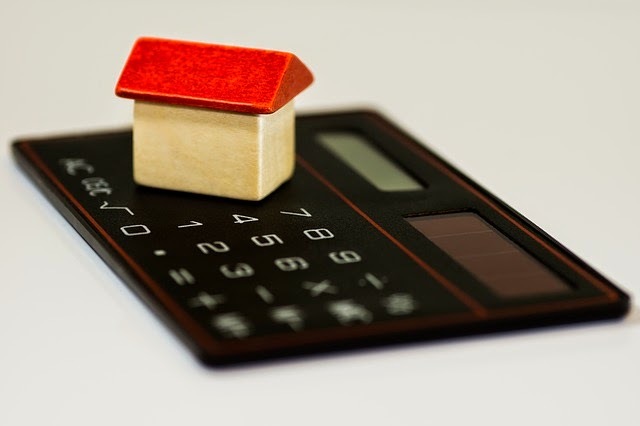 With the ongoing changes, now it’s a good time to look at the benefits or disadvantages of both fixed rates and variable rates for our loans.Most of us will be taking loans when we buy a house. When interest rates change, we will get affected, big or small, depending on the home loan packages we take. In Singapore, there are basically 2 typical types of home loan packages offered by the banks. The first is short term fixed interest rates and the second is variable interest rates or SIBOR dependant rates. Interest rates are generally low in Singapore so a lot of people go for variable rates packages. But we have to take note that if interest rates rise, the monthly instalment we pay will go up as well. If you own properties or is planning to buy properties in countries like Australia, the situation is different. Some of the fixed rate packages in Australia actually have lower rates as compared to the variable rate packages for a short period of time. It is important to do our own research to get the best deals when buying properties in Singapore or Australia. Newcastle Permanent is an independent, mutual, retail financial service provider which provides home loan packages in Australia. Let's take a look at some of the benefits and disadvantages of fixed vs variable rates. A fixed rate home loan can provide you a sense of financial certainty because the interest rates and repayments will remain the same for the set period of time of your choosing. Most plans incur a fee when breaking out of a fixed rate before end of the loan term. This happens when there is transfer of home ownership due to sale or refinancing over to another lender. With variable rate home loan, market forces and the economic climate affect the amount of interest you pay for your mortgages. If we take a $500,000 loan at 5 year fixed rate, we will not be affected when interest rates increase,. However, when interest rates decrease, we can't take advantage of it. If we take a $500,000 loan at a variable rate in Australia, the variable rate loan will adjust accordingly if interest rates increase and we'll be affected. If interest rates decrease, we can take advantage of it and our monthly repayments will be adjusted lower. If interest rates increase by 1% on a $500,000 loan package for a 25 years term, the monthly repayment would increase by around $295. Those on the fixed rate package will not be affected while those on variable rates packages will be affected by this rise in interest rate. There you have it, the benefits and disadvantages of fixed vs variable rate home loans. Choose your loan packages wisely and you could save quite a bit of money on your monthly home loan instalments. Lippo Malls Indonesia Retail Trust - Is 8.1% Yield A Good Investment? A reader emailed me asking about Lippo Malls Indonesia Retail Trust. Is it a good time to buy now? Base on FY2014 DPU, the yield works out to be 8.1% at the price of 0.34. The yield is definitely quite high and seems like an attractive investment. I got interested in it and took a good look at the company's financial statement. I'll share with you my findings below. Before I dive deeper into the financial analysis of the company, here's a short introduction of the company. 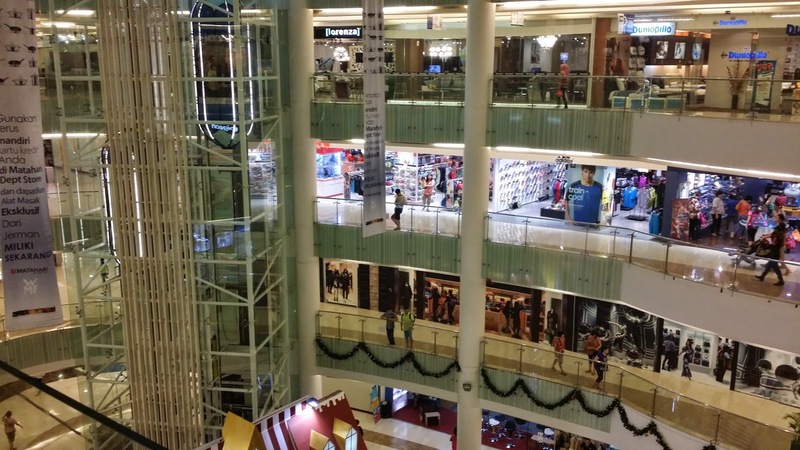 Lippo Malls Indonesia Retail Trust owns 16 retail malls in Indonesia with 6 of them in the capital city, Jakarta. 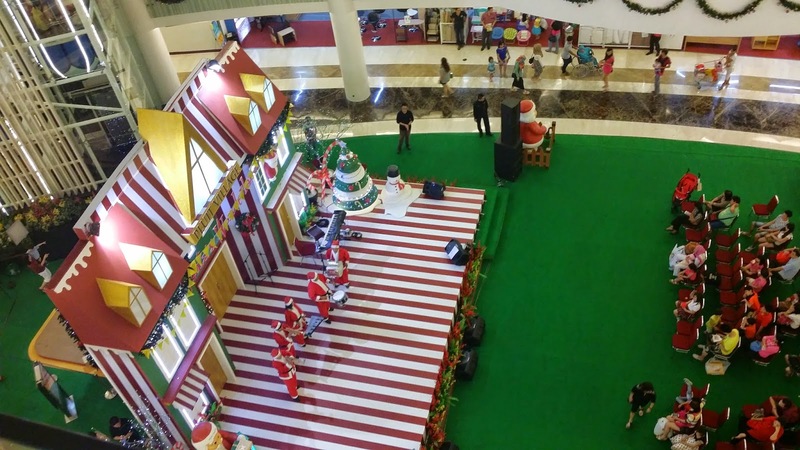 I went to Jakarta in December 2014 and visited a few of these malls during my trip. I took pictures of this particular mall located at the North of Jakarta near to the coastline. It was Christmas time and they were having some Christmas events there. The malls of Lippo Mall are like the suburban malls we have in Singapore. They cater to mostly the middle class population in Indonesia. The net property income in 2014 decreased by 12.1% as compared to 2013. The DPU for 2014 decreased by 15.1% as compared to 2013. This makes the annualised distribution at 8.1% base on the price of 34 cents. In constant currency terms, net property income only decreased 1.2%. The currency depreciation of the Rupiah has affected the DPU by quite a significant amount. If Rupiah continues to weaken, then DPU may continue to get affected in the next few quarters. Looking at its loans, most of it will expire by 2017. The closest one will expire in July 2014. This is $200 Million of the total $630 Million loan which is quite a significant amount. Once this loan expires, they will have to refinance it and probably will face higher interest rates in July. This is not a good sign for that $200 Million loan. If they can't refinance, they will have to find other ways to raise funds such as issuing rights which will dilute current shareholder's value. Another scenario is they could pay back the loans in cash but it would reduce its assets by a large proportion. However, LMIR's current assets as at 31st December 2014 is only $171.6 Million. Cash and cash equivalents stand at $103.92 Million. It is not enough to repay the $200 Million loan so some form of refinancing or equity raising is expected when the time comes. One thing to note is that on 18 December 2014, LMIR was granted $180 Million term loan facility with interest rates at 3% + SGD Swap Offer Rate (SOR). This loan is on variable interest rates and will be subjected to interest rates movement. As we know, interest rates have started to increase and this has affected LMIR's DPU and will continue to affect DPU when interest rates continue climbing. Even though this stock is currently trading at a discount to its NAV of 42.4 cents, I expect NAV to decrease and DPU to decrease further also. This is in view of the currency risk and interest rate risk, This may cause a drop in the stock price if it happens. If we want to invest in this company for income, we must ask ourselves is the Rupiah going to be stronger or weaker and will they have a lower or higher interest rate when they refinance their loans up to 2017? For now, I'll be staying on the sideline before I decide to invest in this company. Not vested at the moment. 1. Croesus Retail Trust - More than 10% dividend yield! 2. Want to own some properties and collect rent using little money? Here's how. After launching the public beta version with only FX and Metals in late November, we have grown 15% weekly, with several thousand users now using us regularly in Singapore. Thank you for your patience and feedback! We had users thanking us when the Swiss Franc spiked and they were informed via Call Levels faster than any other professional system or person, and we hope to remain as useful and relevant for young investors as they navigate through the world of trading. We started with a Singaporean core group of users, but as the word spread we have been adding users especially from Europe and the USA, and they now count for 20% of our user base. We expect to grow more internationally now we have added US stocks and even more in the future, but now is a great opportunity to take a look at what our (mostly) Singaporean users have been looking at on Call Levels. This is no surprise as we launched with 930 crosses real time on FX, and indices and commodities came a few months after. Users have requested for equities, and we are happy to announce that we are offering 500+ US stocks at launch, and this allocation will change in time as we cover many more assets. A quarter of our users monitor the SGD on a very regular basis, and against the USD and JPY. Call Levels launched at a time when volatility for commodities and the US dollar was extremely high, with the Euro and Singapore dollar making multi-year lows. Users who have used Call Levels to keep track of their investments in FX would have felt safer sleeping at night knowing that Call Levels was constantly monitoring the market. With the USD soaring to highs and the Federal Reserve predicting a US rate hike soon, gold prices were in the news, and more than 60% of users’ attention was focused on gold. Oil prices also tumbled to new lows over the past few months, dominating more attention than both US stock indices combined. The recent spike of the US Dollar against the Singapore Dollar has left all Singaporeans concerned about the weakness of the currency. We see a lot of attention placed on 1.40 - 1.41 level in USD / SGD, and there may be a lot of volatility at that level if the US Dollar move continues. 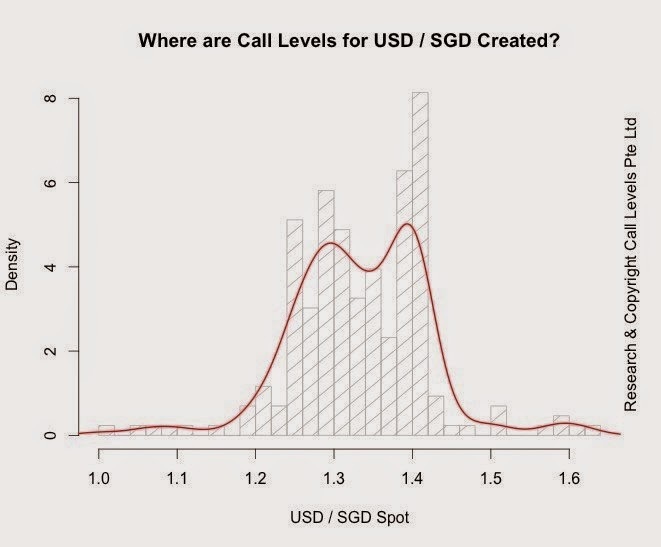 To ensure that you will be notified immediately when USD / SGD reaches 1.4000, use Call Levels now. We’ll watch the market so you don’t have to. Ever since the announcement by MAS on the 2 new initiatives for insurance products, it has generated quite a bit of activity on social media. I even see my own friends sharing news articles related to the changes. I wrote about the 2 new changes in an earlier post here. One of the changes was that consumers can now buy insurance directly from customer service counters or websites of insurance companies directly without having to go through a financial advisor. The premiums will be cheaper as no commission will be imposed. Some of us may be all ready to abandon our financial advisers and buy those cheaper premium insurance. But, after looking deeper at the Direct Purchase Insurance (DPI) scheme, there seems to be some critical and important differences of the Direct Purchase Insurance (DPI) as compared to non-DPI. DIYInsurance has kindly updated and provided me with good information on this DPI scheme. I will touch on some of the limitations in this post. There are differences between DPI and Non-DPI products. I will touch on 2 of the insurance components mainly Total Permanent Disability (TPD) and Critical Illness. Total and irrecoverable lost of use of any 2 of 6 limbs namely, the eyes, legs above ankles and hands above wrist. Inability to perform any 2 or 3 Activities of Daily Living, namely, Transferring, mobility, toileting, dressing, washing, feeding. *This means non-DPI products are more flexible when claiming for total permanent disability (TPD). *This means non-DPI products have a wider range of critical illness which we can claim for. If you purchase your insurance through the DPI scheme, the limitation for each insurance policy coverage is $400,000. It is important to note that for any life insurance coverage of above $400,000, it is more cost-efficient and affordable not to purchase through the Direct Purchase Insurance (DPI) channel. This is because most DPI products are not as affordable as compared to other offerings out there even though there are no commissions involved with DPI offered by the insurance companies. Let me show you an example to illustrate what I mean by more cost effective not to purchase through DPI if coverage is above $400,000. This shows that for any coverage which is above $400,000, buying through DIYInsurance will be the most cost-efficient method. There is a cost savings of $44 in annual premiums together with $55 of total commission rebates. ($633 in annual premiums for the first calculation versus $677 of buying through the Direct Purchase Insurance channel). Furthermore, this provides you with great convenience. Instead of going to 2 or more insurers to purchase insurance products, you are able to fulfill your insurance needs just by going to DIYInsurance. I hope the above information and example gives you a better understanding of the new DPI scheme and when to or not to purchase through DPI in order to get the best cost benefit. Next time when you hear about DPI, I am sure you’ll be more aware of what’s happening out there just like how I have learnt through research and writing this post. I would be smarter not to overpay for my insurance purchases in the future. Do you really need a financial adviser? This was the title of a previous post which I wrote just a few weeks ago. In that post, I recounted my good and bad experiences with financial advisers and how we can make better decisions on insurance purchases. Using web portals where we can compare insurance products is one way to make a more informed choice for our own financial life. It was brought to my attention that MAS coincidentally announced that they will be launching 2 new initiatives which I believe is going to change the whole financial advisory industry. This will affect the sales which financial advisers earn and even cause them to lose their jobs. Yes, it is that big of a change that will have a serious impact on the whole industry. So what are the 2 new initiatives? 1. Consumers can now compare life insurance products online. MAS announced that from 7th April 2015, consumers can compare insurance products from different insurance companies using a website called compareFIRST. This is an interactive web portal which allows us to compare the premiums and features of similar insurance products so we can make better choices on what is best for ourselves. It is similar to DIYInsurance web portal which also offers comparison features. DIYInsurance is the 1st Life Insurance comparison web portal in Singapore. Most financial advisers will not want their clients to compare insurance products as it will mean lesser sales for them if those clients really find a cheaper and better product. I’ve even heard financial advisers say that it is useless to compare insurance products as they are mostly the same. This is definitely not true at all. CompareFIRST is a collaborative effort by the Consumers Association of Singapore, MAS, the Life Insurance Association Singapore and MoneySENSE. Looking at it, I would think this initiative aims to protect consumers from buying the wrong insurance products or over paying for insurance products. It is definitely a good move. From 7th April, we can all purchase insurance directly from customer service counters or websites of life insurance companies. This is called Direct Purchase Insurance (DPI). As DPIs are sold without having to go through a financial adviser, the premiums are cheaper as no commissions are charged. Alternatively, we can buy insurance online through DIYInsurance web portal. No limits to purchase of insurance coverage. DPI’s limit is up to $400k. On top of term life and whole life plans, DIYInsurance provides comparison on stand-alone critical illness, disability income, long term care products and annuities for retirement income. It is a one-stop shop to fulfill your needs. If you want to find out more on how web aggregators such as the new compareFIRST and DIYInsurance can help you in your insurance planning, you can attend a complimentary session on 25th April (Saturday), which will give you a deeper understanding of how you can better plan for your insurance needs. 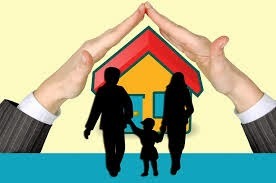 Insurance planning is an important aspect of our lives. The insurance industry is definitely changing now. It is a good time to re-look into our insurance needs and plan properly for peace and security for our future. The session is organised by DIYInsurance, Singapore's first life insurance comparison web portal. For all of us out there who are 20 plus, this video is for you. Be motivated and take action today for a better life tomorrow. I know many of us have been trying to find places where we can put our money in-order to get better returns. At the same time, we don't want to take on too much risk and still get to grow our money. Good news! Just a few days ago, it was announced by the government and MAS that they are going to introduce something called the Singapore Savings Bonds programme to provide individual investors with a long-term savings option that offers safe returns. You might ask, how safe is safe? Are the returns high? Bonds are normally considered safe investments especially when we talk about Singapore government bonds. They are almost risk free if you keep the bond all the way to maturity. You will get back the face value of the bond during maturity. In a way, as long as government bonds do not default (where the government goes bankrupt), we'll always somehow get our principle investment back. However, the problem with normal government bonds is that it is still subjected to day to day price fluctuations. Yes, bond price can go up and down and if we sell it early, we could make a loss. For this Singapore Savings Bonds, it is principle guaranteed. We can redeem the bond any time and we'll always get our investment amount back in full. The bonds are issued monthly so we can buy the bonds monthly or redeem it monthly. It is so flexible that in case you really need the money, you can redeem it and still get back your capital without suffering any capital loss or penalty. Best of all, any interest you get will be yours to keep. The minimum investment amount is $500 and thereafter in multiples of $500. There will be a maximum investment limit which will be announced later. The interest rates paid are linked to the long term Singapore Government Securities (SGS) rates. Interest will be lower for the first year and will subsequently be higher for the next few years until year 10. If we base on the prevailing SGS bond yield, on the first year, we should expect to get around 0.9%, on the second year around 1.5% and on the third year 2.4% and so forth. The actual rates will be given by MAS at a later date when the bonds are issued. On average, you'll get around 2-3% (base on the current rate) if you hold the bond for 10 years. Interest rates can be lower or higher. When will it be launched and How do I invest in it? The Singapore Savings Bonds will likely be launched in the second half of 2015. MAS will provide more information on how to apply for the bonds at a later date. I suppose applying for the bonds won't be that difficult. Probably we can do it through most of the major banks in Singapore or even apply it online. In any case, this would be a good investment for those who want to get better returns for their money. It is principle guaranteed so there is practically no risks involved. I would definitely consider putting any of my spare cash into these bonds. How The Weaker Singapore Dollar Affects Our Life? By now, most of us would have realised that the Singapore dollar is weakening especially against the US dollar. 2 years ago, the exchange rate for USD/SGD is $1 US dollar to $1.22 Singapore dollar. Today, it is close to S$1.40 per US dollar. In laymen terms, this means we who are in Singapore, would require more money to buy the same US goods 2 years ago. It was reported last week in the news that the Singapore dollar outlook is worst since the Asian Financial Crisis. The Asian financial crisis in 1997 was one which many people in Asia would remember. Stock markets plunged, currencies devalued to extremely low levels and jobs were lost. So how will the weaker Singapore dollar affect us this time? Will we see another Asian financial crisis? When I was in University taking my degree in Economics, I had to research and write on how MAS conducts its monetary policy in Singapore. Currency movements certainly have impacts in our economy and it will surely affect our lives as we use money every single say. The depreciating of the Singapore dollar definitely signifies that something is happening. How bad and how long is still unknown. An Asian Financial Crisis all over again? The Asian financial crisis was triggered by the depreciation of the Thai Bhat and it quickly affected other major currencies in Asia including Korea, Indonesia, Malaysia and also Singapore. 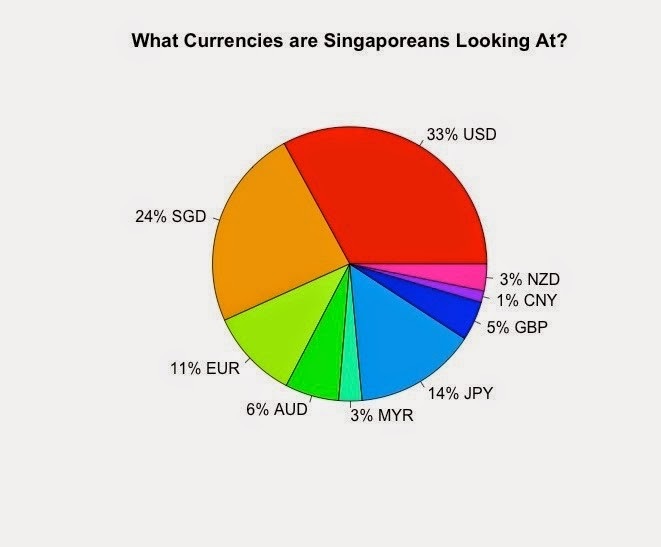 In the chart below, it shows the USD to SGD exchange rate. As we can see, the Singapore dollar depreciates against the US dollar during all major financial crisis. The 1997 Asian financial crisis was the worst as seen by the spike followed by the 2008 global financial crisis and also the recently sovereign debt crisis which saw the European region having trouble. Fast forward to now, it seems like the Singapore dollar is depreciating at a much faster rate than the 2012 sovereign debt crisis and almost similar to the 2008 global financial crisis now. The depreciating of the Singapore dollar just means that more people are selling the currency than buying it. This was partly driven by the data showing the slowdown in China, Singapore's largest trading partner. Investors confidence in the Asian region is shaken. 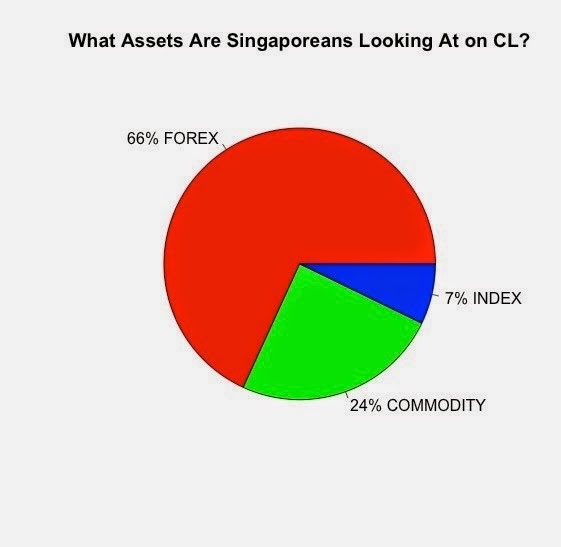 Why the Singapore dollar is depreciating? The Singapore dollar has been strong for the past few years in an effort to combat inflation. Singapore adopts an exchange rate policy instead of an interest rate policy. This has been the case since 1981. The primarily objective of this policy is to maintain price stability and sustainable economic growth. The appreciation of the S$ dollar in the past has made it more expensive for foreigners to buy Singapore’s assets and at the same time increase export prices thus slowing down the economy and bringing down inflation. Inflation has slowed down significantly and MAS said in January that it will slow down the appreciation of the Singapore dollar too. This has led to the Singapore dollar depreciating to what we see now. However, we have to note that our neighbours currencies are depreciating at a faster rate than us. Malaysia and Indonesia both have their currencies weakening for the past few months. If our currency stays strong, we'll lose our export competitiveness as goods in neighbouring becomes cheaper for international buyers. 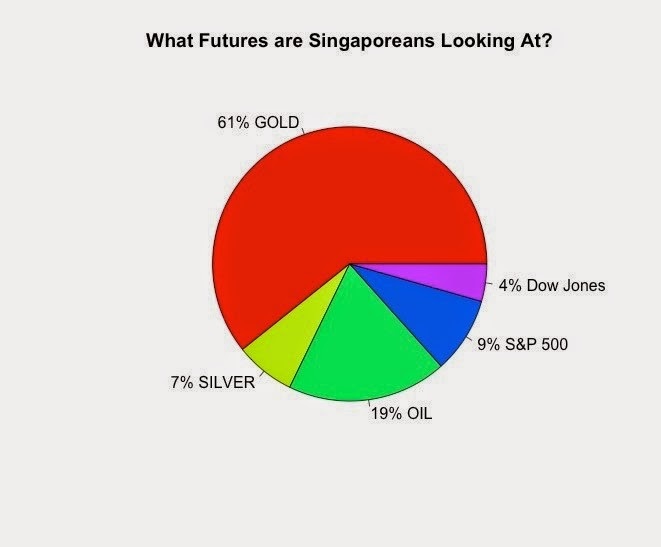 How the depreciating of the Singapore dollar affects us? A strong local currency indicates a strong economy with high productivity growth and high savings rate. A weaker local currency indicates the opposite. The US economy is recovering and money is definitely flowing back into the US now. Apart from all the economic theory, let us take a look at how a weaker Singapore dollar will affect us directly? With a weaker currency, importing goods from other countries especially the US would become more expensive. Singapore's top few largest trading partners includes China, Malaysia and United States. While our currency has depreciated against the Yuan and the US dollar, Malaysian Ringgit has depreciated at a much faster rate than the Singapore dollar. A lot of us in Singapore also like to go online to buy stuff and some are businesses based overseas. A lot of these online shopping websites which are based overseas use the US dollar as their base currency. It'll be more expensive for us to do online shopping now. Property prices in most Asian countries have been rising over the past few years. Singapore too was one of the hot property market places. When the market was bullish on Asia and bearish the U.S. dollar, the Singapore dollar did exceptionally well. Now, its the opposite. Property prices will drop mainly due to the increase in interest rates. The spike in interest rates is attributed to expectations of further currency weakness. Think of it this way, when Singapore's currency is expected to weaken, it reduces the attractiveness for people to buy Singapore government bonds. Interest rates need to be pushed higher since investors need more incentive to hold onto the local currency. During the Asian financial crisis in 1998, property prices dropped about 40% over a one year period. The government of Singapore also took drastic measures to cool the property market in May 1996. If those cooling measures were not implemented prior to the crisis, it could have been worse. Currently, the Singapore government has also implemented cooling measures to cool the hot property market. I would be expecting property prices to drop further as its only the beginning now. Interest rates have been rising but still at a low currently. As seen below, the increase in interest rates has always been accompanied by a drop in prices of properties. Interest rates (3 month SIBOR) have risen above 1% as at 24th March 2015. No matter what happens, we can always be prepared for any situation which is to come. Being prudent in our finances, having emergency funds set aside and not taking on too much debt would ensure that we do not get into serious financial problems. 1. How MAS conducts its monetary policy in Singapore?